MANILA, Philippines - State weather bureau PAGASA announced that 'Bagyong Butchoy' (international name: Nepartak) has entered the Philippine Area of Responsibility (PAR) at 2:00 p.m. on Tuesday, July 5. At 4:00 pm today, the eye of typhoon “‪#‎ButchoyPH‬” was located based on all available data at 1,325 km east of Casiguran, Aurora (16.5°N, 134.5°E) with maximum sustained winds of 140 kph near the center and gustiness of up to 170 kph. It is forecast to move northwest at 30 kph. 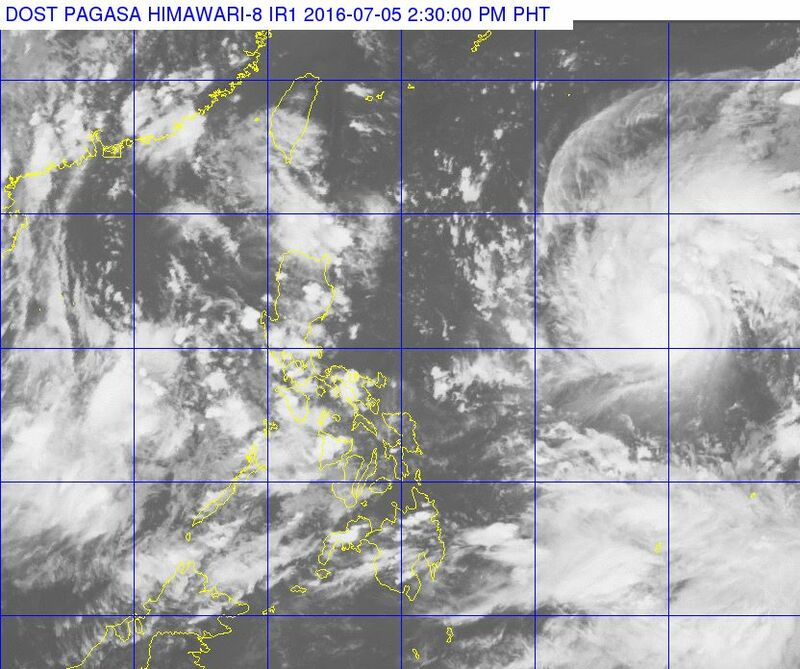 'Butchoy' has intensified into a typhoon before entering PAR. PAGASA said it is not expected to make landfall but forecast to enhance the southwest monsoon or habagat in the next few days.